In book four, the Famous Five stay at the large old house at Smuggler's Top. They discover secret hiding places and underground tunnels, and one night they catch people signalling out to sea! I first read Enid Blyton 60 years ago. I still love to read (and listen) to her. She is able to write for and about children without talking down to them. These kids are real and likable. Do yourself a favor and listen! Give your children a gift and let them meet this wonderful writer! This book series is perfect to read aloud as a family. They are full of adventure, mystery, excitement and fun. We've read the first 4 books in the series and my kids want to keep going. That says a lot. 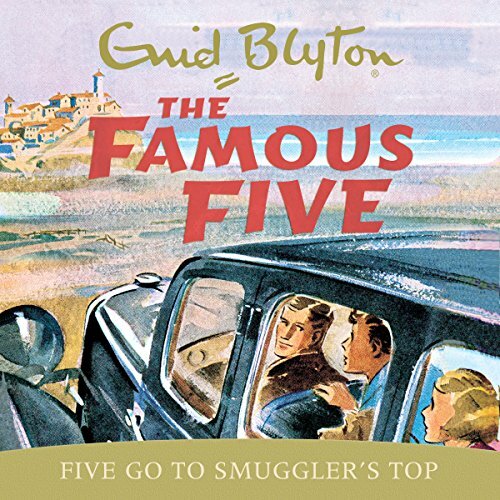 What made the experience of listening to Five Go to Smuggler's Top the most enjoyable? My boys loved the story and whenever we're in the car they were asking for it. I grew up with this series in Germany so it sets me back in time. Tyhe book is well read and keeps kids entertained amd away from their ipad..
No, but my boys were laughing regularly so I'm assuming they loved it.